73.6 percent of technology-delivered training at the Fortune 500 firms comes through online methods (workforce.com). Out of the $200 billion Corporate Training industry, $56.2 billion is represented by eLearning (Global Industry Analysts). Online courses emerged in the 80’s and since then eLearning has been radically changing the training industry. While the eLearning industry is experiencing rapid evolution and organizations have seen massive cost and time saving through it, there are still issues like learner boredom, lack of interactions, lack of relevance, and inadequate real-world problem solving. How can you make sure that you don’t face these challenges during the design and development process of your eLearning courses? 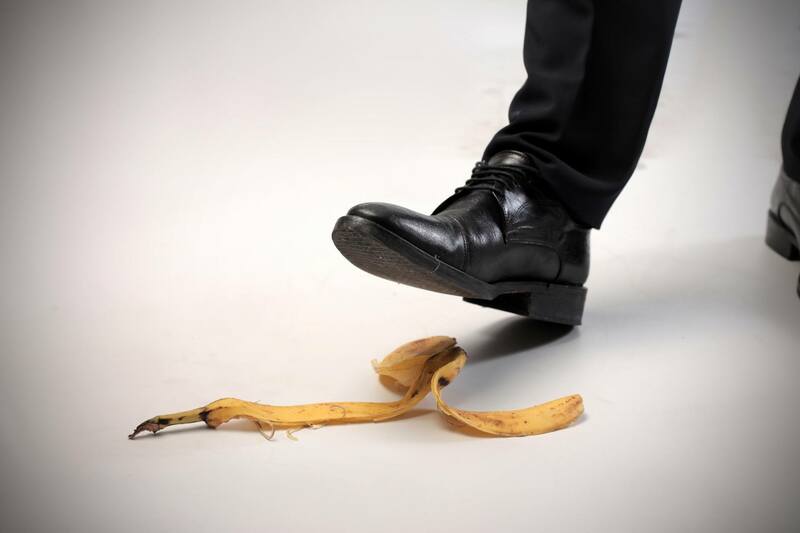 Read on to find out which mistakes in eLearning design and development you should avoid. Based on our experience of creating thousands of hours of eLearning content, we see the following as common mistakes in eLearning design and development. Hope this helps you as a checklist in your eLearning design and development process. Not understanding the target audience. Before starting with eLearning design, thoroughly understand the target audience and the learning goals; you need to get answers to questions like what do they need to learn, what are their interests, what are their experience levels, or what is their education level etc. Not giving enough time to do this research will make the whole course a complete waste of time because the learners won’t be able to relate with the course and not get the complete value from it. eLearning courses need to be designed while paying careful attention to the Cognitive Load theory. This theory suggests that learners can absorb and retain information only if it does not overload their mental capacity. If an eLearning course floods the learner’s mind with a lot of information written on text-heavy pages, then the cognitive load on the learner is obvious. Good courses avoid inclusion of irrelevant information and have a small and easily understandable breakup of complex concepts through paragraphs or bullets. Instead of merely summarizing the information, the course should provide an enjoyable learning experience and retain the learner’s attention. Mindless integration of graphics and images. Sure, a picture is worth a thousand words; but only if it is a relevant picture. Irrelevant and low-quality images in eLearning courses will only distract the learners. While designing the courses, ensure that the pictures are on-topic and appropriate. Not paying close attention on ease of navigation. Even if you spend a lot of time in designing the best content and images, if the learner is not able to navigate through the pages, then the whole content becomes meaningless. With the advent of smartphones and touch screens the browsing and navigation patterns of the learners have changed phenomenally, and therefore you, as the eLearning course designer, need to pay special attention to ensure that the courses are easy to navigate and it is easy for the learners to look for information. Focusing too much on technology. With tons of authoring tools, game development and simulation development tools, interactivity tools, and Learning Management Systems, it is natural to get overwhelmed with technology. Be careful about spending too much time and energy on the choice of tools and technologies and don’t forget to focus on delivering the true learning outcomes. You need to choose the technologies which can help in achieving those outcomes. Imitating traditional classroom training in eLearning. Classroom training and eLearning are two completely different methods of imparting training and skills to the learners: The nature of training, methodologies, and learner expectations are completely different in these two methods. While eLearning adopts many features from the classroom training, it has some unique attributes which should be leveraged to offer effective training. Through eLearning courses, you can offer personalized learning experiences, tell stories, and engage learners with the use of audio and video. It is a well-known fact that 80% of the learning is happening around us, in the informal learning space. While this does not dilute the importance of formal training, you need to acknowledge the fact that today learners are used to social media and are constantly learning through social interactions. Ignoring social learning completely from the eLearning courses can be a big mistake. You need to create informal learning experiences tightly integrated inside the eLearning courses; and this is much beyond creating and controlling informal learning spaces. Not paying attention to the emotional journey of the learner. Emotional design is an upcoming trend in eLearning design. It says that through the use of right instruction strategies and creative design, eLearning courses can develop a connection with the learners. Completion rate is one of the biggest problems in eLearning and the right emotional design seem to the offer solution for the same. When the learner is emotionally connected with the courses, he/ she better comprehends the concepts and the chances of completion increase. Creating assessments which don’t challenge the learners. Periodic assessments and exercises embedded in the courses provide you an opportunity to determine whether the learners are absorbing the information and retaining it. At the end of such small section quizzes, you can summarize and recap the information so that the learners commit it to the long-term memory. Mismanagement of eLearning content management. Along with the design of meaningful and stunning eLearning courses, you need to also pay attention to the maintainability of the courses. In case the need arises, it should be easy to update the course content, images, text, or animation files. While the creation of right and impactful eLearning courses is important, it is also crucial to ensure that the eLearning strategy aligns with the organizational goals and business needs and there is complete buy-in from the management. Along with the right choice of tools and technologies, the roles and responsibilities for the eLearning design and development team, and also the other stakeholders in the project, should be clearly defined. As Michael Allen has defined, the 3Ms of impactful eLearning courses are “Meaningful”, “Memorable” and “Motivational” – and you need all three!